I have never in my life been a morning person. Like, I wouldn't even get up on Christmas morning (I'm an only child, not like everything wasn't for me anyway! ), my mom had to drag me out of bed. I didn't wake up early to watch cartoons, I got to school at the last minute, and when I started college I made sure to schedule all afternoon classes. In fact, the only times I would actually get up early were to tailgate. Mornings just weren't my thing. Until this year. Because now, and for the past 6 months, I get up at 4:30 a.m. Yes, you read that right. 4:30 a.m. It's when my alarm goes off and I'm out of bed at 4:31 - there's still a tiny struggle, I admit. But there's no time for snoozing when I have to get up, let the dog out, make John breakfast, make his lunch while he eats breakfast, and help him get out the door just before 5:00 so he makes it to work on time. No, I don't have to. I shouldn't say have to. I like to! I wish it was a later start, for sure, but since I can't single-handedly convince the Chicago fire academy to start a few hours later so I can sleep in, we just have to embrace the morning hours. And although I could go back to sleep after John leaves if I wanted to, since I don't leave for work until 7:30, I find that the morning hours are suddenly becoming the time when I get the most done. Besides getting myself ready, I'm also able to do things like walk the dog, clean the house, blog, cook, all sorts of things really. Harnessing the burst of morning energy for good, or something like that. Although I struggled at first, I feel like it didn't take long to settle into a nice routine that gets me in and out of bed on time, without feeling constantly tired. I figured I would share my tried and true steps that I take the night before to make the mornings easier - you may not have the exact same morning needs as me, but ideas remain the same so I hope something here helps you transition to becoming more of a morning person, and at least helps you get out of bed earlier to start accomplishing whatever is on your particular task list. The single hardest part of my morning is leaving the warm bed, because as of today, mid November in Chicago, I have refused to turn the heat on and probably will continue to do so until there's snow on the ground. Once I'm awake and doing things, I don't mind the chill, but it's impossible first thing in the a.m. I make sure I have set up, within arm's reach, warm necessities like a sweatshirt or a robe, plus socks and slippers (I can't do just slippers, don't people's heels get cold? Is that just me?) I leave them on the floor next to the bed and Hawkeye sleeps on them and warms them with her furry body. It's a good system. First of all, I switched from a single serve coffeemaker because sometimes you need more than one cup, let's just be honest, and also because it's not very zero waste of me to be throwing away little plastic cups every day. 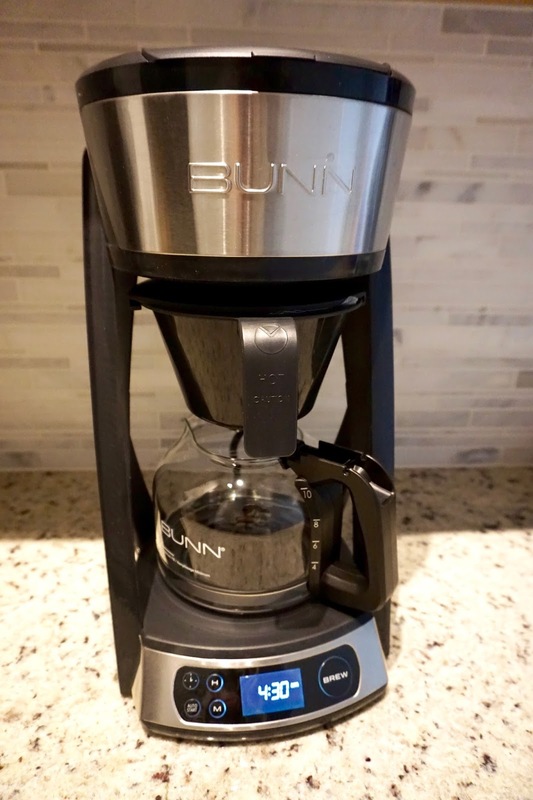 But a major factor in switching to the BUNN HB Coffeemaker was it's ability to be programmed to start the brewing process before I'm even out of bed, to ensure that coffee hits my lips at the first possible moment after walking into the kitchen. Because (a) I'm a much more pleasant person to be around once I have coffee, ask anyone, and (b) drinking the coffee also ensures I won't crawl right back into bed for another hour or two. 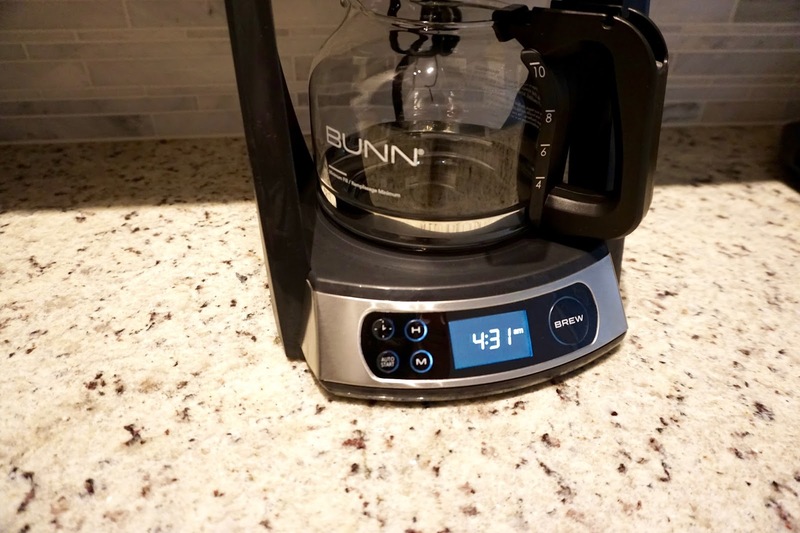 Since the BUNN HB takes 10 minutes from start to finish, I'm able to put the grounds and water in the night before and set it to start 10 minutes before my alarm goes off! Waking up to the smell of coffee is so exciting, like walking into a coffee shop but without having to pay the coffee shop prices or wait in line. It's really easy to use, you can start it manually any time, of course, but it takes just a second to program it to start at your ideal time. 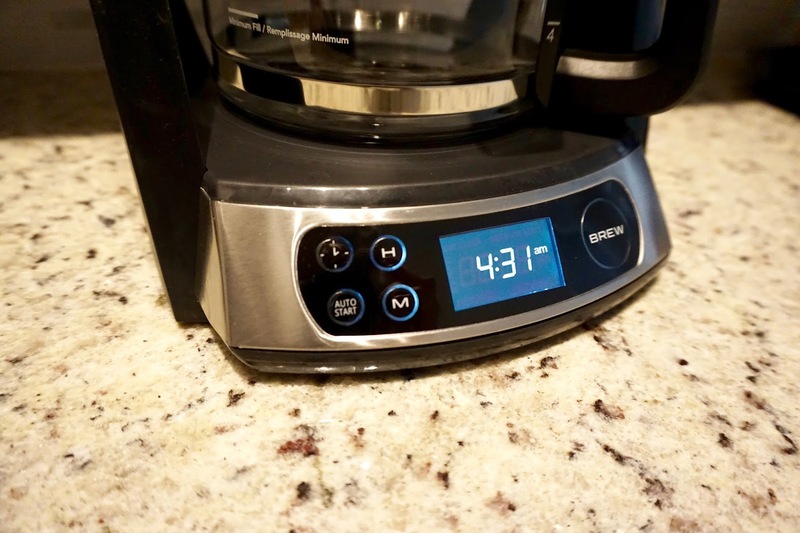 It creates a really smooth, perfect cup of coffee and I like that I can control how many cups it makes, in case it's a multiple cup kind of morning. Plus, it's just really pretty, isn't it? It fits the modern look of our kitchen and I love that it's minimalistic looking and you can see our backsplash through it. Currently John is having toasted bagels for breakfast with scrambled eggs and sliced ham, and a banana. For lunch, it's turkey sandwiches, berries, and granola bars. So the evening before, I make sure everything I can prep is ready (berries washed and in the container) and then line up everything in their own sections - everything for breakfast is on it's own shelf (eggs, bagels, butter, ham), as is everything for lunch (bread, turkey, berries.) It's the tiniest step but I can reach in the fridge and make exactly what I need to while still partially asleep and without my contacts in. I'm not much of a breakfast person beyond occasionally reaching for a bowl of oats, but I'll also prep my lunch, usually a salad or soup and some bread, and have that container in a bag in the fridge, so I can grab it on my way out the door. I'll do a fridge tour soon! Or is that too weird? It's just so adorably organized, I love it. One of the last things I do before bed is review my planner. I go over my schedule, make any additional notes about things that need to get done tomorrow, and then prep accordingly. For example, if I need to pick up some groceries, I make sure to put my reusable bags by the door. If I need to return something at the store, I put that item by the door and make sure the receipt is in my purse. I'll also set alarms on my phone if I need to remember something mid-day, like scheduling a doctor's appointment. This process helps me unwind before bed because I can get everything I'm thinking out of my brain and on to paper, plus I'm not looking at my phone since pre-bed screen time makes it harder to get to sleep. I also sleep easier knowing that I won't forget anything important in the morning since I've just essentially put the first 3 hours of my day on auto-pilot. Mornings become infinitely easier when you eliminate all decision fatigue from the beginning of your day! And that's it! 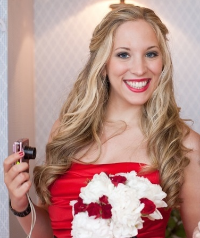 Of course, other things make my mornings easier too, like having a minimal wardrobe and streamlining my beauty products, but I have separate posts coming this week and next on both of those topics. 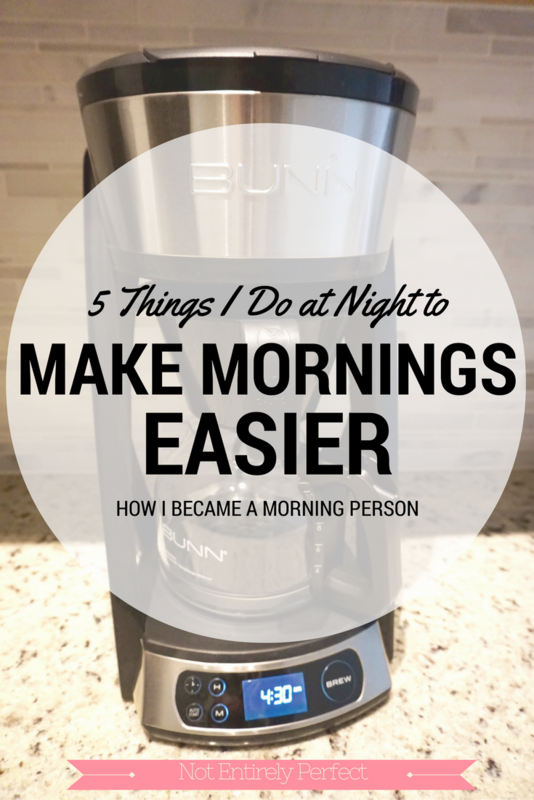 If you aren't a natural born morning person, how do you make mornings easier on yourself? 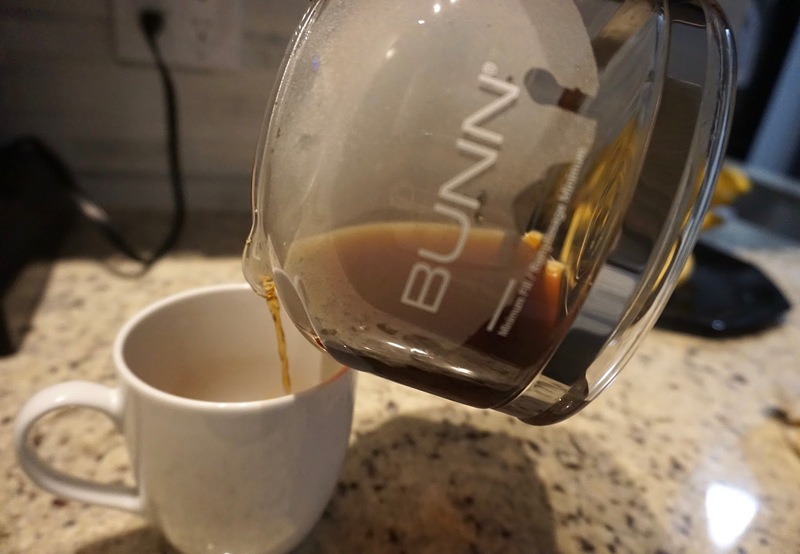 Be sure to check out the BUNN HB coffeemaker, which you can pick up exclusively at Williams Sonoma - it would make a particularly great gift this year for the coffee loving morning person in your life. Or for yourself. And please, let me know if you have any favorite coffee beans I need to try in it!